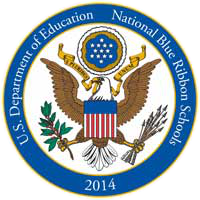 Welcome to Reid Traditional Schools’ Valley Academy, nationally recognized by the U.S. Department of Education as 2014 National Blue Ribbon School and also an ‘A’ Rated school ranked at the highest level by the Arizona Department of Education. We offer students an accelerated back-to-basics and traditional education that provides them with a traditional foundation for the future. Valley Academy is a tuition-free public charter school within the Reid Traditional Schools family. Our schools have been consistently ranked among the best schools in Arizona. At Reid Traditional Schools, we treasure our teachers. We offer premium benefits to our staff, including Arizona State Retirement and almost free PPO health coverage. In addition to fully stocking paper and supplies, the Board of Directors reimburses teachers $100 per year for anything they spend on their classrooms, thus minimizing any out-of-pocket costs for teacher extras. We also maintain staffing to ensure that teachers do not have lunchroom or recess duties during the school day, so they have time during the work day to take care of the many ancillary issues that teachers must deal with. The average base salary of all teachers employed in the budget year 2019 is $47,120. The average base salary of all teachers employed in the prior year 2018 was $43,225. The increase in average teacher salary from the prior year is $3,895.